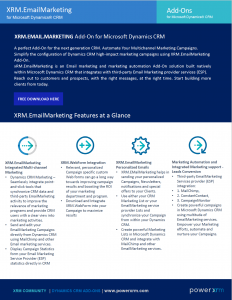 xRM.EmailMarketing is a powerful Email marketing and marketing automation solution built natively within Microsoft Dynamics CRM that integrates with third-party EmailMarketing services. Dynamics CRM Marketing – Seamlessly integrate point-and-click tools that synchronize CRM data and third-party EmailMarketing activity to improve the relevance of marketing programs and provide CRM users with a clear view into marketing activities. Send and edit your EmailMarketing Campaigns directly from Dynamics CRM using MailChimp and other Email marketing services. Third-party EmailMarketing Services – Create powerful campaigns in Microsoft Dynamics CRM using multitude of EmailMarketing services. Empower your Marketing efforts, automate and nurture your Campaigns. xRM.EMailMarketing – helps in sending your personalized Campaigns, Newsletters, notifications and special offers to your Clients. Use either your CRM Marketing List or your EmailMarketing service provider Lists and synchronize your Campaign from within your Dynamics CRM. Create powerful Marketing Lists in Microsoft Dynamics CRM and integrate with MailChimp and other EmailMarketing services. xRM.WebForms – Relevant, personalized Campaign specific custom Web forms can go a long way towards improving campaign results and boosting the ROI of your marketing department&program. Download and Integrate xRM.WebForm into your Campaign to maximize results. 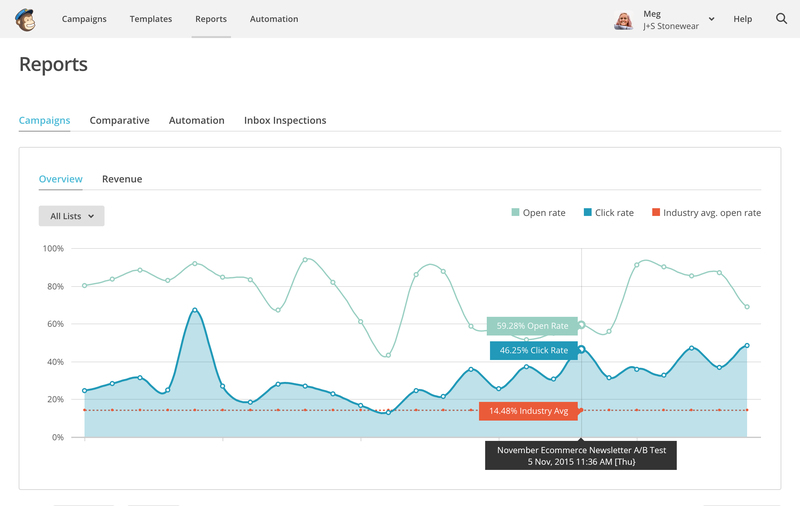 Automate Your Multichannel Marketing Campaigns. Simplify the configuration of Dynamics CRM high-impact marketing campaigns using xRM.EmailMarketing Add-On. Reach out to customers and prospects, with the right messages, at the right time. 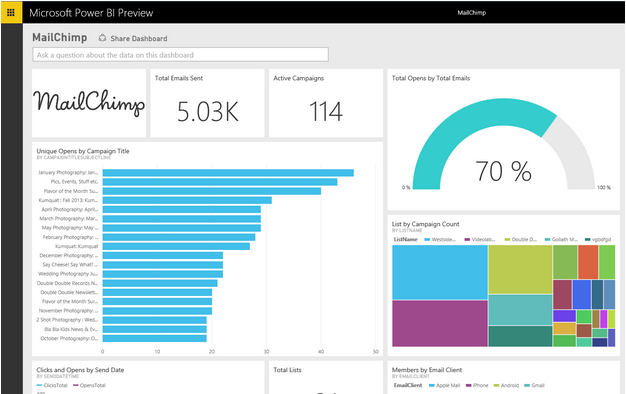 Display your Campaign statistics in Dynamics CRM after your Campaign has been sent in the v2 of xRM.EmailMarketing Add-On. Calculate the revenue from Campaigns you launched, and maximize your ROI in v2 of xRM.EmailMarketing Add-On.